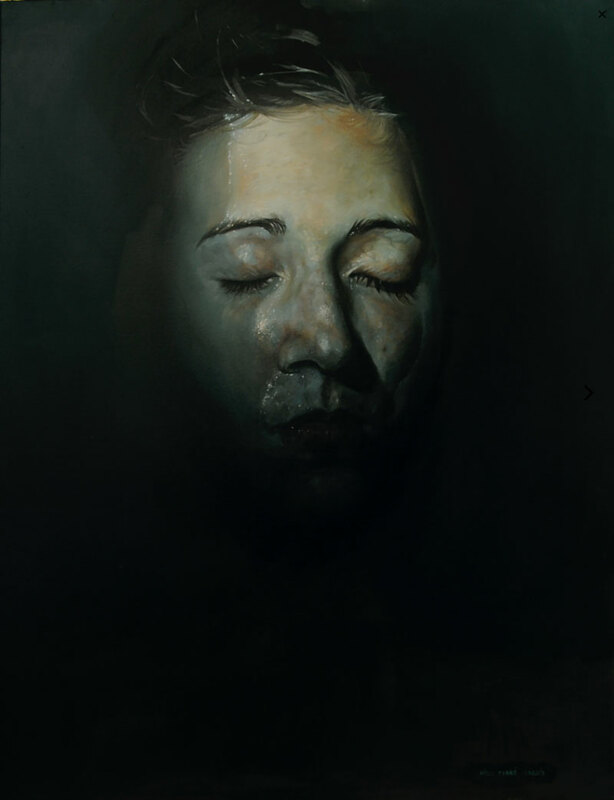 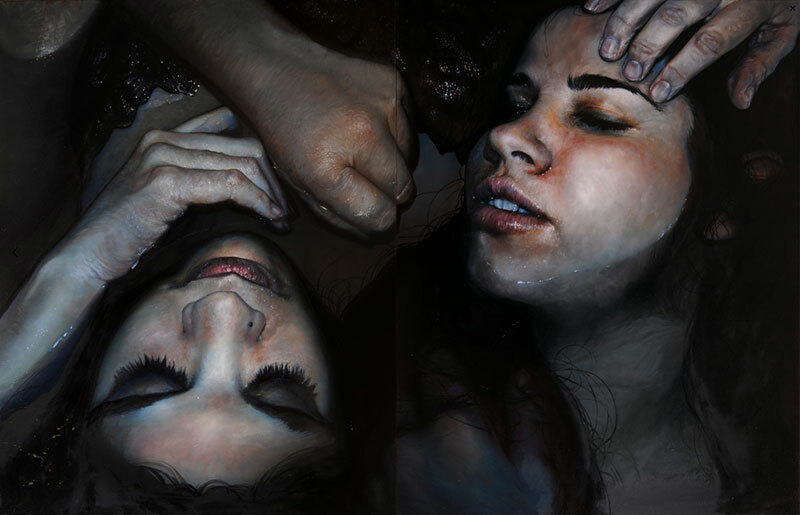 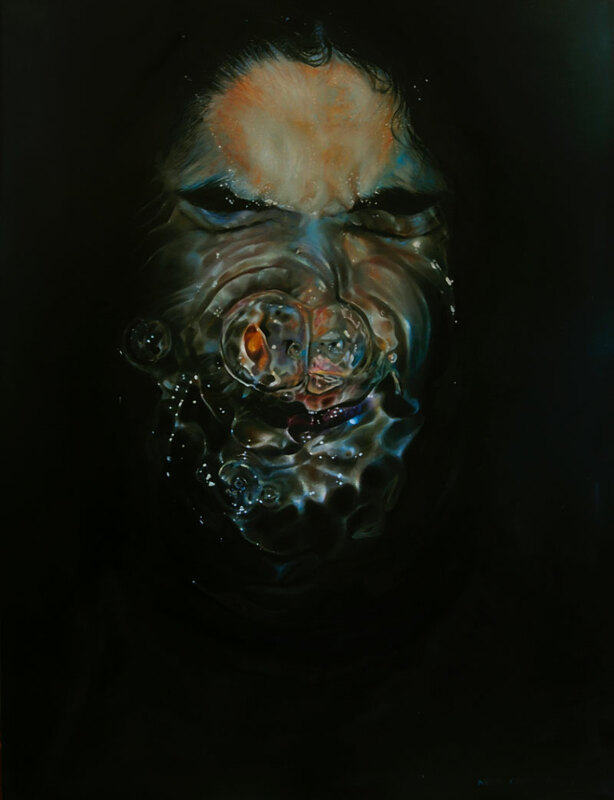 Dark paintings of women submerged in water by Barcelona-based artist Núria Farré. 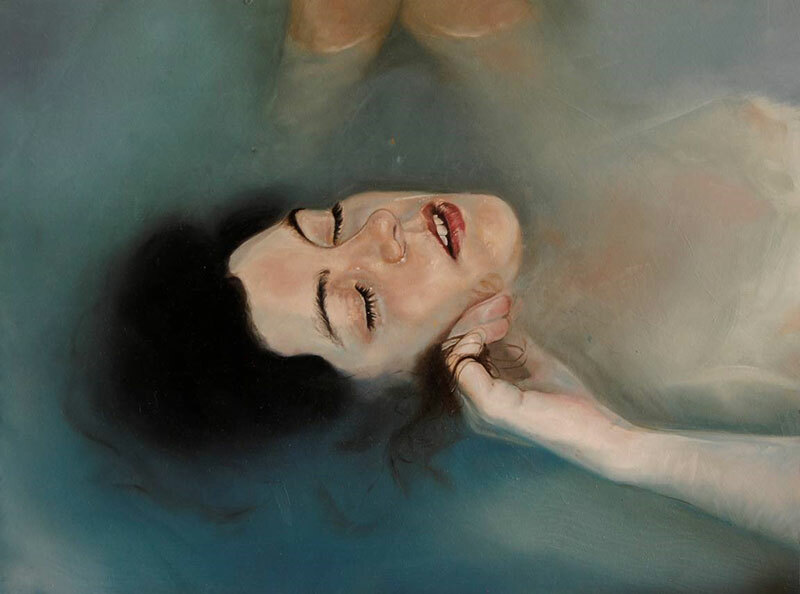 Using the allegory of the sleeping beauty, she portrays the women in a passive state bordering on the dreamy and the funeral, waiting to be activated by getting out of the water. 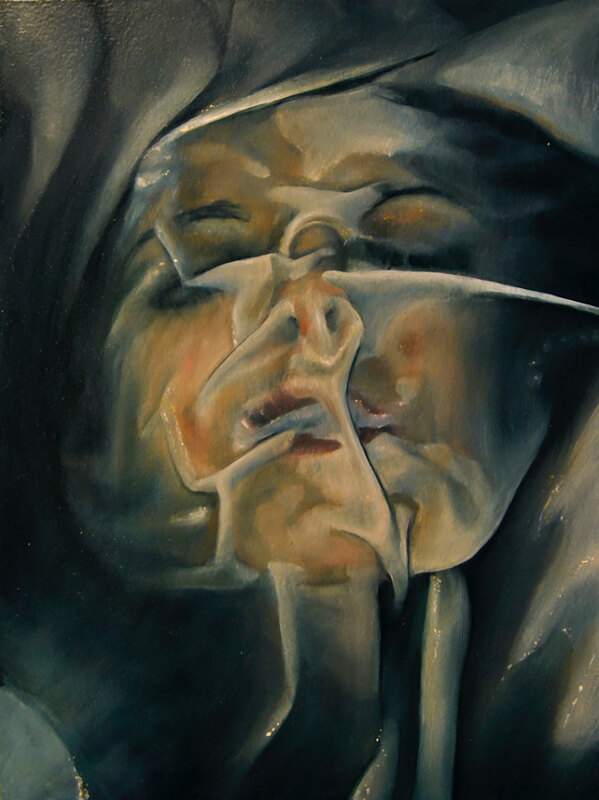 Her intent is to combine the inner world of the individual, mysterious and full of ideas, with the apparent passivity of the outside. 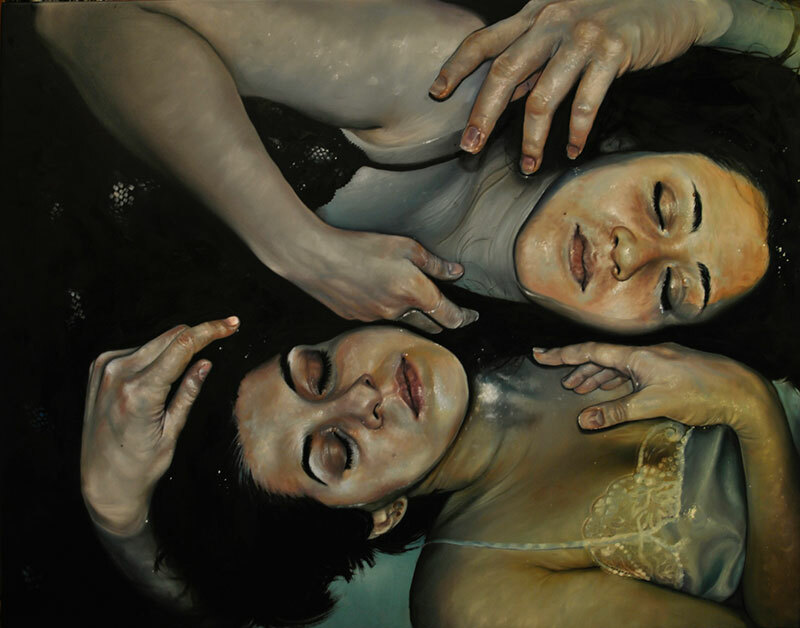 By dipping the women in water, I tried two things; The first one, with their eyes closed but being in the water, I wanted to see them not only as sleepers but auto-reflexive human beings, anxious and confused, full of thoughts. 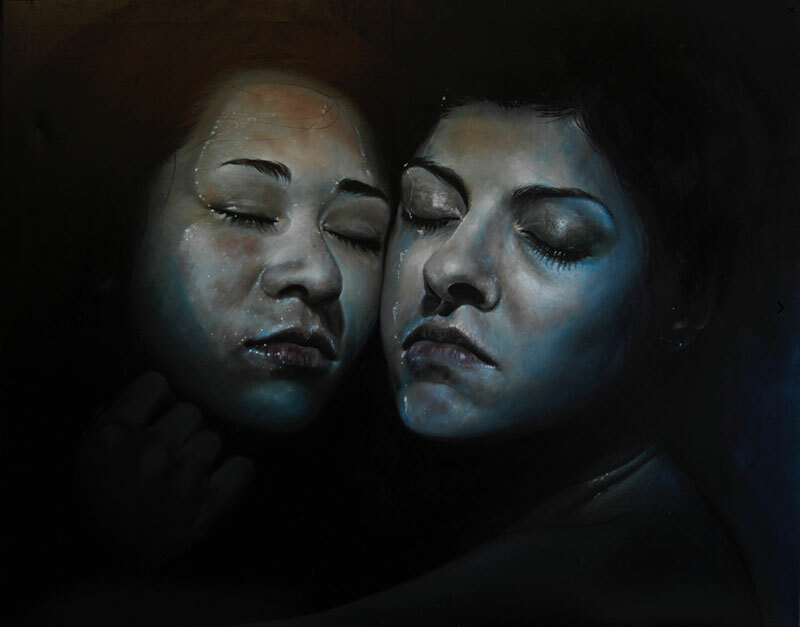 I wanted to see them drown in their own passivity, unable to react or maybe just in the second before their reaction; The second one is, of course, to relate their thoughts, fantasies and dreams with all the symbolism attached to the liquid. 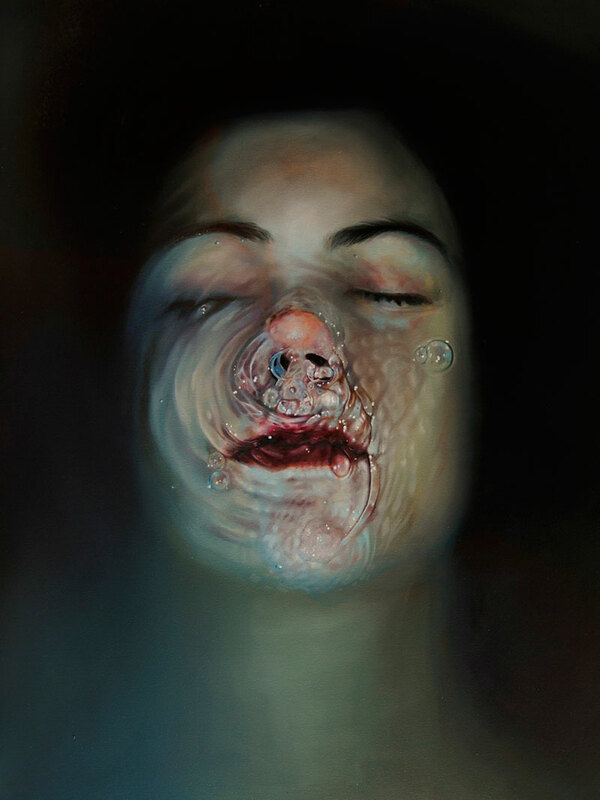 Dark paintings of women submerged in water by Barcelona-based artist Núria Farré.